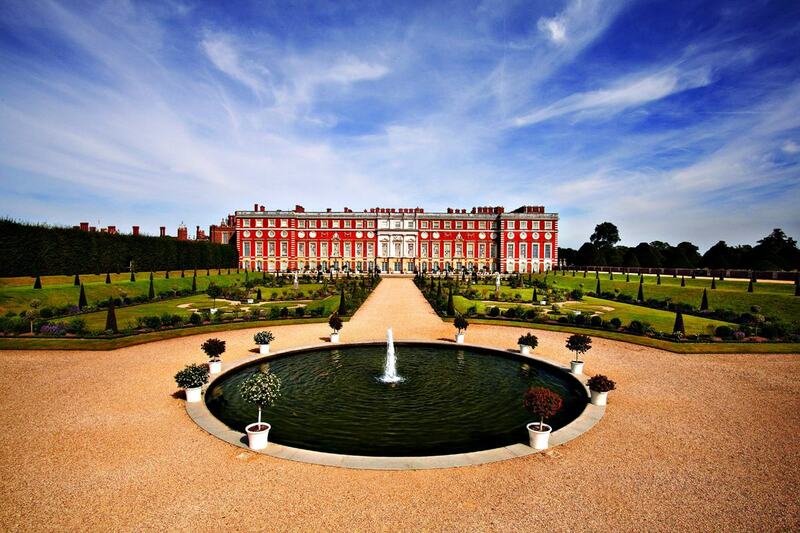 Standing on the grounds of Hampton Court Palace is truly like standing in the footsteps of the most important figures and captivating characters in British history. Cardinal Thomas Wolsey resided in the Palace from 1515, until the charming Henry VIII decided to make it his own, after making the building lavish and luxurious – fit for a king (and his six queens – separately, of course). James I threw late-night parties in the Great Hall, and Shakespeare's troupe of players performed for the royals in that same room. Finally, King William III and his Queen Mary II lived in a restored version of the residence, thanks to the architectural mastery of Sir Christopher Wren. Today, couples can tie the knot in any of the grand palatial spaces, including the Great Hall, Undercroft, and the intriguingly named Cartoon Gallery. For duos considering a summer wedding, The Privy Gardens is a wonderful choice that holds 250 guests for receptions and 150 for sit-down dinners. 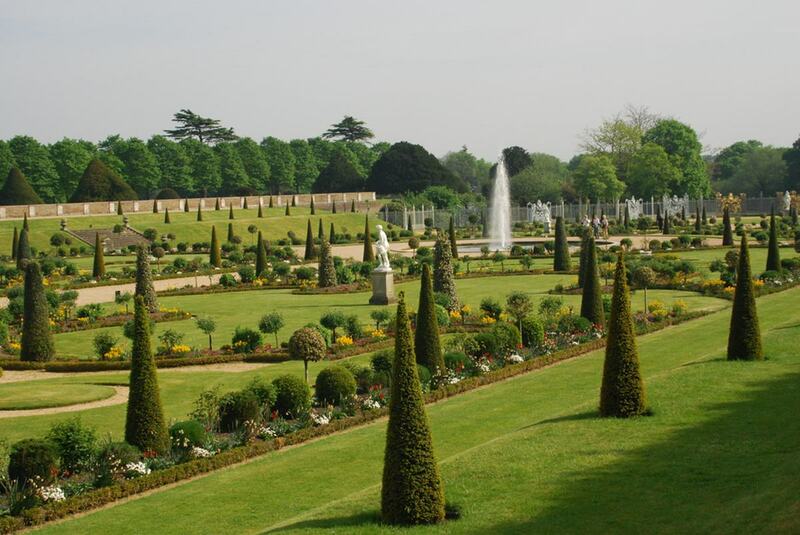 Also the site of the colourful Orangery, the Gardens today are an exact restoration of the original one manicured for William III in 1702: they still hold some 33,000 plants, plus impressive topiary and a greenhouse, like the one privately held by William three centuries ago. A number of wedding packages are offered to suit all manner of matrimonies, with delicious canapés such as saltimbocca chicken with roquette pesto, and sweet potato and truffle frittata with garlic aioli. Drinks and sit-down dinners are also available, as well as tastings and hands-on advice from a dedicated event manager. Those choosing to marry in the Privy Gardens will also enjoy a prestigious procession through the state apartments that lead to one of the elegant dining rooms – and can even arrive via riverboat as did the kings and queens of yore. 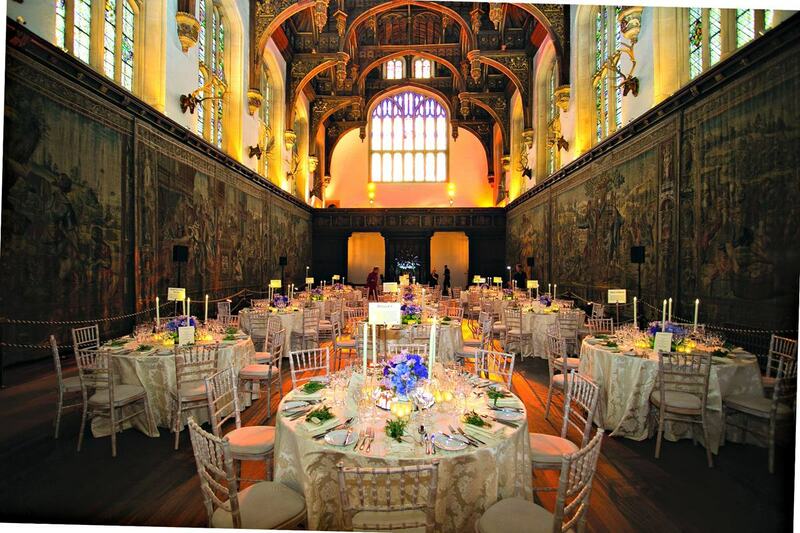 In essence, Hampton Court Palace is one of the world's most historical, romantic and memorable spaces at which brides and grooms can share their special day. For more awesome venues, go to hirespace.com.